In further improving academic support and services to student-athletes, NU increased the number of academic counselors over the past five years. In 2017-18, Wildcats student-athletes boasted a combined 3.34 GPA. 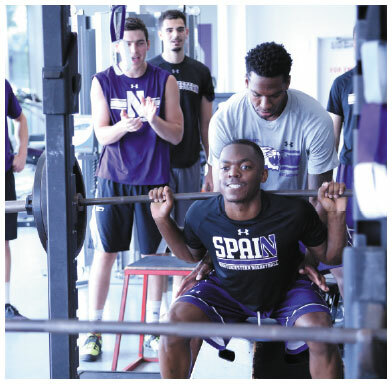 Northwestern sports medicine continues to be a national leader within intercollegiate athletics. Through technology advances and equipment, we work to make sure student-athletes are as safe as possible, minimally impacted academically, and able to return to competition as quickly as possible in the event that they are injured. The sports nutrition program is committed to helping student-athletes optimize their overall health and performance. Being fueled up to succeed in the classroom, in practice, and in competition helps our student-athletes achieve their academic and athletic goals. Additional resources for summer school allow our student-athletes to get ahead academically and stay in Evanston to train and be with teammates. Summer school and training help student-athletes be optimally prepared for both the coming academic year and their competitive seasons. Providing the proper tools, training and opportunities to develop as athletes is critical to maximizing one's time as a student-athlete. Support in this area allows our student-athletes to progress more effectively, aids injury prevention, and assists in optimizing performance in order to succeed in the Big Ten and nationally. Gifts to the Wildcat Excellence Fund are the most impactful contributions to NU Athletics. These resources are used on a daily basis to allow NU student-athletes to thrive academically, socially and athletically. 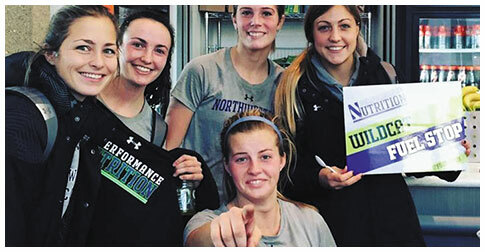 Make a gift to the Excellence Fund today and have a tangible impact on Northwestern's ability to provide a world-class experience for our student-athletes. For more information, call 847-467-4321. Dedicated supporters of Wildcats Athletics are often interested in providing financial support to the Vice President's Fund. Gifts to the Vice President's Fund may be utilized at the discretion of the Vice President for Athletics and Recreation for unforeseen and one-time expenditures that help advance Northwestern Athletics. For more information, please contact Fred Smith at fredksmith@northwestern.edu.